Zika is a threat to unborn babies — the virus can cause neurological damage if it infects a mother during pregnancy. But as with many things, our solutions to the problem aren't always all that much better than the problem itself. In the case of Zika, a new study has found that one of the primary chemicals used for aerial spraying against mosquitoes that carry Zika may itself cause impaired motor skills in children if their mothers are exposed during pregnancy. Naled is a dangerous member of a family of pesticides called "organophosphates." These chemicals work by interfering with signaling enzymes within the nervous system of insects — and, it turns out, humans. These chemicals can be inhaled, ingested, or absorbed through the skin. Chlorpyrifos is an organophosphate in use since 1965, to kill insects on corn, soybeans, fruit trees, and row crops. At the golf course, in greenhouses, and for use against mosquitoes, the chemical can cause paralysis and death in high doses. In a new study published in the journal Environment International, researchers at the University of Michigan also found that naled and chlorpyrifos, even in small doses, caused deficiencies in the motor skills of children exposed during pregnancy. Environmental advocates have worked for years to highlight the danger of organophosphates in the soil, food, and water in the US and around the world. This study analyzed umbilical cord blood of approximately 240 Chinese mothers between 2008 and 2011. Researchers cataloged the insecticides present in the blood, which passes between mom and baby before birth, then monitored the children after birth. Children exposed to higher levels of naled during their development scored 3–4% lower in fine motor skills ability, compared to children exposed to less insecticide. Children exposed to chlorpyrifos scored 2–7% lower on gross and fine motor skills, than those who were not exposed. This included movement of arms and legs, as well as finger grasping and fine finger movements. Overall, girl babies suffer greater deficits from exposure than their male counterparts. In a press release, first author Monica Silver, from the University of Michigan, noted: "Motor delays in infancy may be predictive of developmental problems later in childhood. The findings may help inform policy as the debate over use of these chemicals continues." 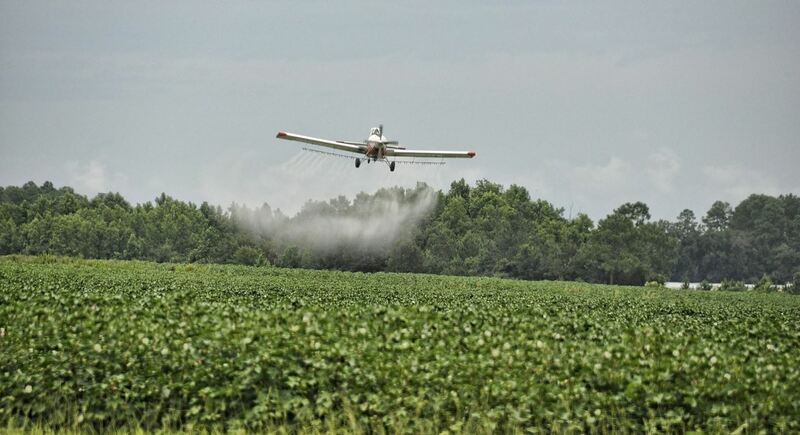 In November 2016, the Environment Protection Agency (EPA) revised their assessment of the safety of chlorpyrifos on crops that are consumed by humans. At that time, the EPA frankly stated that the amount of the chemical it allows on food crops, and into drinking water from food and non-food uses, "continues to exceed safe levels, even taking into account more refined drinking water exposure." The EPA also notes the danger to people who prepare, process, and apply the product. In March of 2017, the EPA denied a petition designed to stop the use of the chemical, but it indicates it will complete its assessment by 2022. Mosquitoes that carry Zika live in the southern regions of the US. As scientists work in the lab to find ways to combat the virus and care for those affected by it, other agencies use aerial spraying to kill the mosquitoes that spread the virus. Naled, applied as a fine mist about 100 feet off the ground, is considered to be an effective weapon to kill the mosquitoes that spread Zika. About a million pounds of naled are sprayed over the US every year, partly because Aedes mosquitoes (which spread Zika) are becoming resistant to safer insecticides. But in many places, naled has made a bad name for itself. In 2012, the European Union banned the use of naled. In 2016, Puerto Rico protested and turned back the CDC when it tried to spray naled to combat the mosquito population. The CDC withdrew and apologized. Later that year, though, protestors in Miami failed to halt the aerial spraying of naled. Organophosphates are dangerous chemicals that are acknowledged by the EPA and the CDC to be hazardous to human health. While these agencies maintain there are safe environmental levels of these chemicals, the EPA's own assessment notes those levels are higher than "safe" levels. Naled, for example, is highly toxic to honeybees — insects that we need to produce food, and which are already struggling to survive. In the coming seasons, organophosphates will be sprayed in the US to reduce mosquito populations. While reducing the spread of Zika virus, state and federal agencies aim to reduce the devastating impacts of the virus on unborn children and others. But for now, these chemicals may be causing poorly understood impacts on unborn children. Senior author and principal investigator on study, John Meeker of the University of Michigan, said: "Zika is a very serious public health threat. This information helps to highlight that the way we go about combating Zika and other vector-borne diseases needs to be thought out more completely in order to minimize other unintended consequences."